Agritourism comprise of two words ‘Agriculture’ which means the process of cultivation of crops, fruits, vegetables and livestocks for businesss and ‘Tourism’ means to visit place. any agricultural based operation or activity that brings visitors in the farm is also agrotourism . Nepal is a land locked country situated on the lap of Himalayan. Nepal lies at the height from 59m to 8848m that has warm to cold temperature that favors different plants to grow in wide range of temperature. The climatic and geographic situation of Nepal is gift of nature to develop as agritourism country. Agritourism is one of the sector of ecotourism. People visit these sites for gaining information on cultivation practice of crops, to experience the cultivation practice and so on. it helps in showcasing unexplored area , promoting and developing the economy and lifestyle of local people living in rural area. People are eager to know how the food is produced and talk with farmer what goes into the food production, this is provided by agrotourism. Nepal is a agricultural country where about 65% people involve in the agriculture. There are plenty of natural resources in Nepal which help agritourism more popular and success in Nepal. The lower land in Terai can be developed as crops production areas, hills as fruits production and mountain as the livestock production according to the geographical situation of Nepal. Several cultivation practices of agricultural products in Nepal in different way in different ares make it more interesting to vvisit for tourist. There can be observe different field situation according to the season. In Summer farmer involved in plantation of rice with Ashare songs which make feel them avoid from hard work and make environment pleasant with songs. 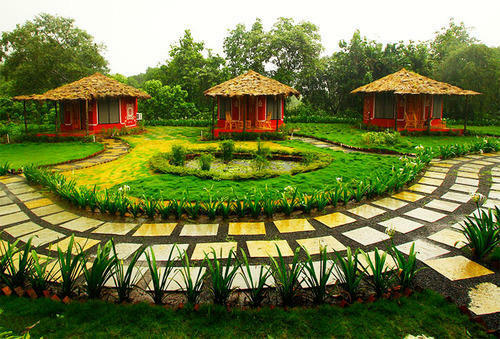 Agritourism has various different social, economical and cultural benefits to the nation. It helps visitors to know the traditional practice in these areas and also share their cultivatin practice also. Agritourism in Nepal need to have high investment and research so that the lifestyle and economic status of people can be uplifted. There are many of beautiful places in Nepal to visit by tourist but lacks the facilities of road network. There should proper development of the infrastructure such as road networks, communication, lodging and fooding facilities to visit such agricultural place with beautiful nature's gift. Many of the NGO's are running projects for the development of agritourism in Nepal. 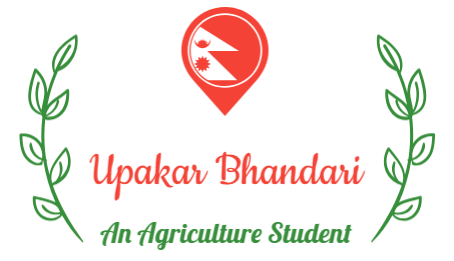 With the colaboration with government agencies, different people and organization involving in agritourism can have a great role in the development of Nepal as Agritourism destination of the world. Then finally we can have Nepal as the best destination to visit with agriculture knowledge and experince here by touists.